Glasgow's Santa Dash is back, so get your festive vibe on and sign up to raise funds for the Rangers Charity Foundation at this fun-filled event on Sunday 9 December! Participants receive a Santa suit as part of their registration fee and everyone is welcome - adults, children and even dogs! 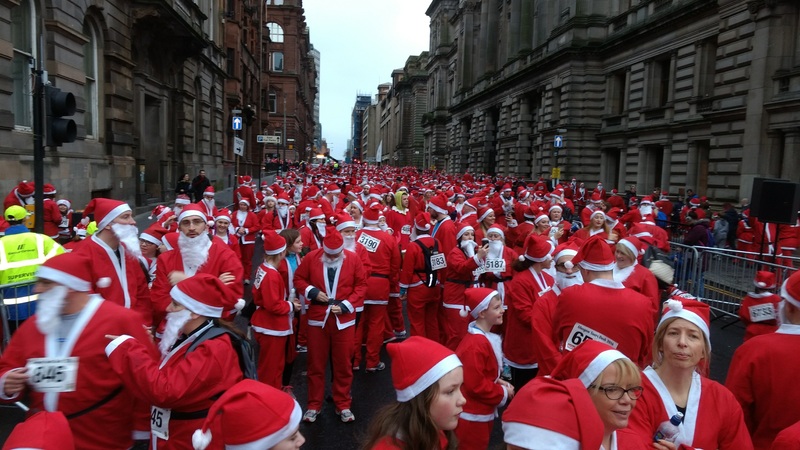 8,000 Santas took part in last year’s 5k race, making it a very merry fun day out! You can sign up here, and then contact the Foundation on the form below to let us know you are taking part and we can arrange sponsor forms etc. Registration costs £15 which includes a Santa suit, race number and medal. If you raise more than £100 for the Foundation you will also become a True Blue Hero and be invited to a special reception to receive your True Blue Hero medal from a first team player!